So most people think it's easy living with Diabetes and it's really not. I have an aunt who's been living with this chronic disease for over 20 years now. I've lived with her and I've seen how difficult life really is for her. 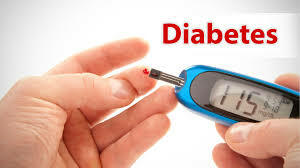 Diabetes is a chronic disease meaning it can't be healed but it can be managed. Most people plan their own funerals once they are diagnosed with the illness. It's not as bad as it seems, Diabetes is a disease that limits you from sugary things,I think it's been said that those with diabetes have an abnormally high level of sugar. They have more sugar than needed in their systems. I asked my aunt if she ate a lot of sweets as a child because I needed to prevent getting it in future. And her answer left me astonished,she doesn't have a sweet tooth and she never did. She wasn't a sugary things person. I was curious and asked how come she got it then,she told me it's not contagious but it's most certainly hereditary. She inherited it from her great grandmother and it's possible that her great grand kids might inherit it from her since all her kids are tested negative from it. It scared me a little when she added that even I could get it or my kids could get it since we are all blood relatives. She's a type 1 diabetic and she relies on injections on a daily basis to sustain it. She uses an injection called Apidra to reduce her sugar level and it also provide glucose to her as a person with diabetes have little glucose in their system,if she eats too much then she has to inject herself with Apidra to keep her sugar levels balanced. Apidra and Actraphane do the same jobs. Then there's Lintel which she's not certain what it does to her body but she was told it's a necessity and she inject her self once a day as soon as she wakes up. She relies on this two to keep her sugar levels balanced. Diabetes is not a death penalty it can be managed. Don't be afraid.